One of our all-time favorite sea-and-sand getaways is Laguna Beach, California, for its achingly cute downtown, not one but two summerlong arts festivals, and the spectacle we never tire of: Pageant of the Masters (from $15; Jul 8–Aug 31). For 82 seasons now, Lagunatics young and old have been volunteering to spend two months posing nightly in tableaux vivants that mimic famous works of art. 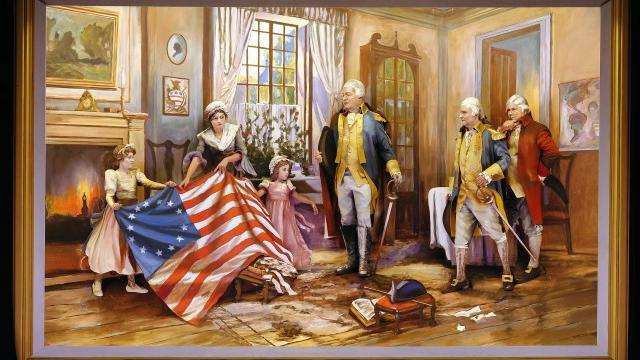 Each year, there’s a different theme: 2015’s is “the pursuit of happiness.” (The advance favorite is Betsy Ross Presenting Flag, above, based on an Edward Percy Moran painting.) Not all of Laguna Beach’s appeal is old school, though. South Laguna has come into its slightly hipper own in the past few years: We recommend checking out the vintage leather belts at Twig, an Endless Summer Bowl (Greek yogurt, watermelon, lime, and mint) at Active Culture, and—to bring things full circle—Mariko Ishii’s arboreal linocut prints next door at the Festival of Arts’ FOASouth annex (up until July 13).